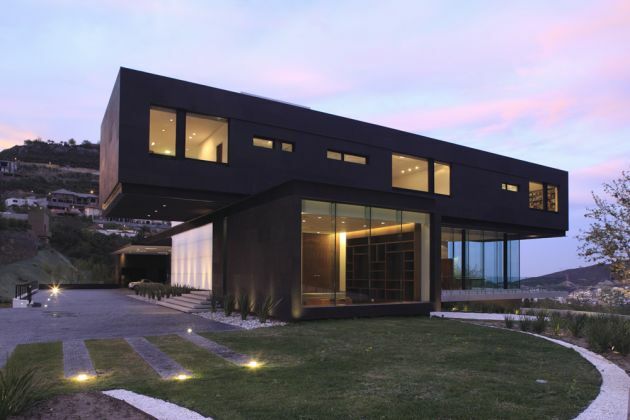 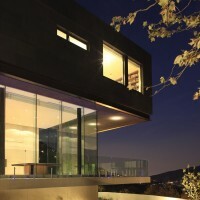 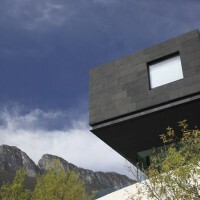 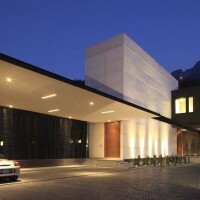 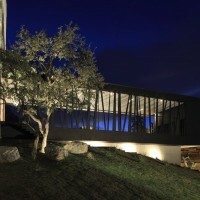 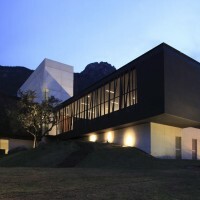 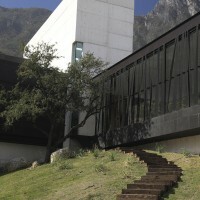 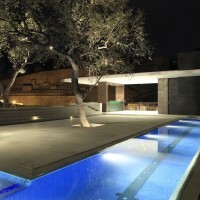 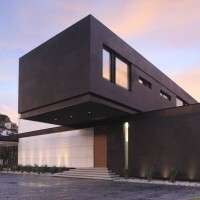 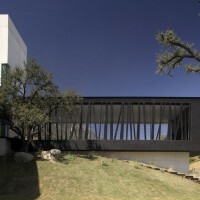 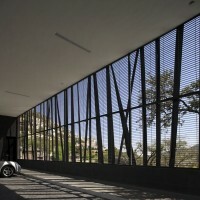 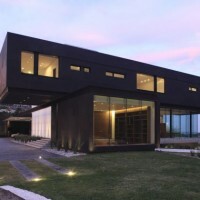 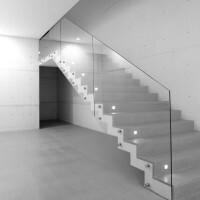 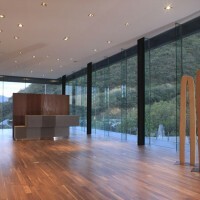 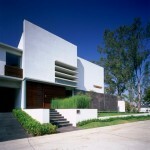 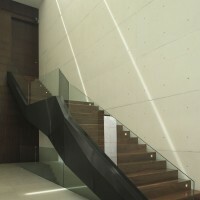 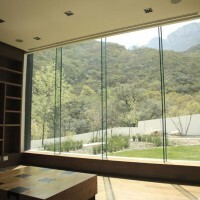 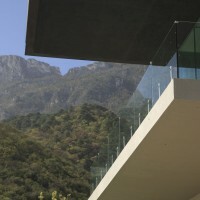 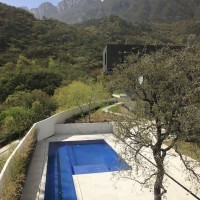 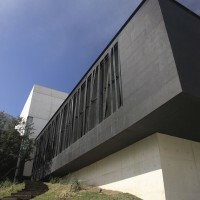 GLR Arquitectos – Gilberto L. Rodríguez have completed the BC House in Monterrey, Mexico. 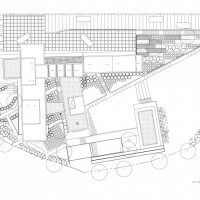 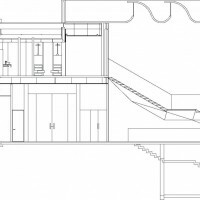 The proposed access to the site is located in the North side of it, ascending through a long slope that leads you to the highest level, where the floor plan is located. 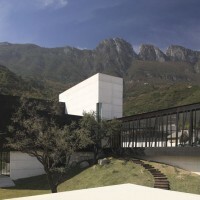 With simple, pure geometric volumes, but rather challenging structural solutions, our project intends to evoke an image of lightness within a language of heavy and massive volumes. 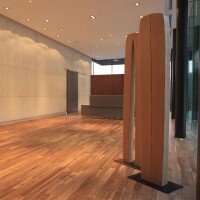 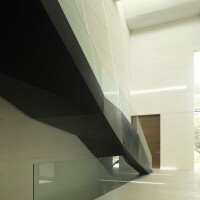 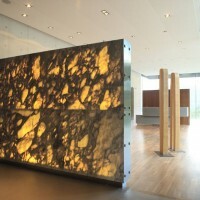 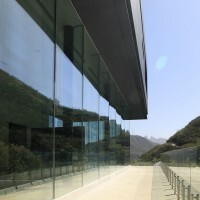 Although color does not have yet an important presence in our work, this project takes an important step forward into the exploration of new materials, as it is the black granite and the white exposed concrete, in addition to the personality that the great amount of exposed steel elements gives to the building. 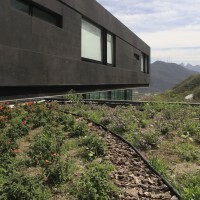 Finally, it is important to mention that beyond its bio-climatic function, the implementation of green roofs as a way to integrate the landscape, trying to conserve the natural surroundings of the zone, always dominated by the presence of the splendid Sierra Madre mountain range. 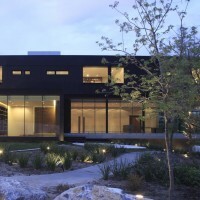 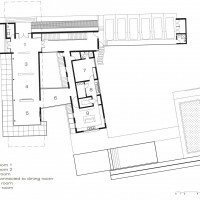 The house was conceived like a “Sustainable House” since the beginning, so it has a study on energetic efficiency, which analyzes the sun trajectory and the prevailing winds in diverse seasons of the year. 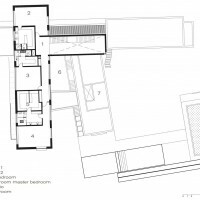 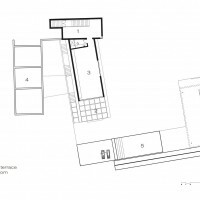 As a result of these studies, the house has diverse systems of isolation, like its double walls with poliisocianurate, an ecological insulator; double windows with low emissivity (Low-E) glass; systems of pluvial water harvesting and gray water treatment for irrigation, solar paddles for pool heating and garden illumination, solar water heaters, hydronic heating systems to reduce the power consumption, south oriented skylights, as well as a landscape project with native vegetation.